When Hedda Hellberg fails to return from a retreat in Italy, her husband discovers that his wife's life is tangled in mystery. Hedda never left Oslo, the retreat has no record of her and, what's more, she appears to be connected to the death of an old man, gunned down on the first day of the hunting season in the depths of the Swedish forests. Henning Juul becomes involved in the case when his ex-wife joins in the search for the missing woman, and the estranged pair find themselves enmeshed both in the murky secrets of one of Sweden's wealthiest families, and in the painful truths surrounding the death of their own son. When their lives are threatened, Juul is prepared to risk everything to uncover a sinister maze of secrets that ultimately leads to the dark heart of European history. 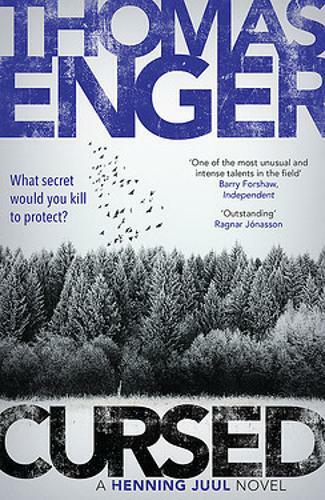 Chilling, gritty and unputdownable, Cursed marks the return of one of Norway's finest crime writers.